Hey everyone! How was your Wednesday? I had a pretty exhausting one. I had dance rehearsals for our performance in Cebu (Wow, parang professional ah!). Anyway, it's for our org's event and I'm just so excited to go back to Cebu. Cebu bloggers, let's meet up! Who wants? Anyway, when I got home, a package just arrived and I'm super excited to know what it is. When I saw the packaging, I instantly knew what it was and I immediately and excitedly opened it. It's my glasses from Firmoo Optical! 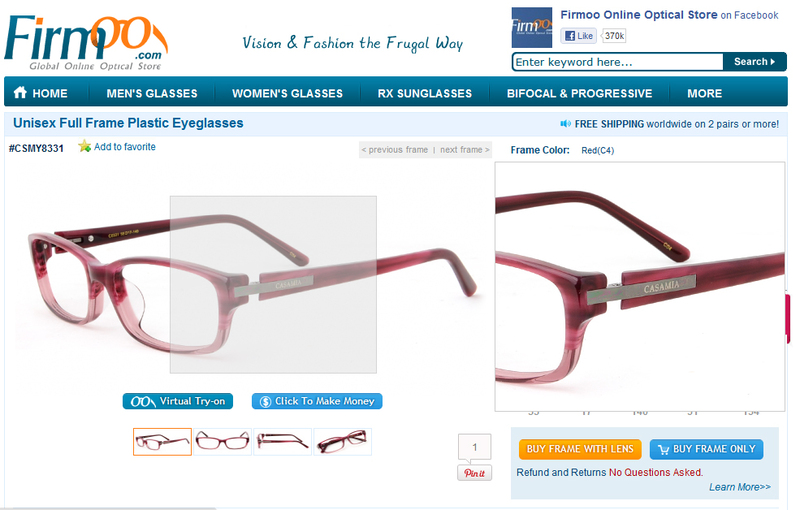 Firmoo.com is the emerging global online optical store for prescription eyeglasses and sunglasses. Their tag line caught my attention: Vision and Fashion the Frugal Way. Just by that tagline I know that Firmoo and I would definitely get along. I checked out their glasses and they were really affordable and fashionable. I bet you can definitely find something you'd like there. They even got promos for new buyers, they ship worldwide and give free shipping for 2 pairs or more. You know what I'd already say, right? AWESOME! 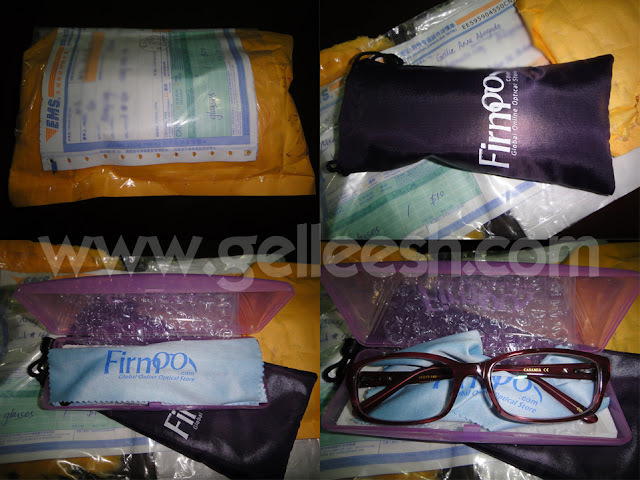 When Firmoo contacted me, I immediately had my eyes checked for its prescription and sent it to them. And through Firmoo, I was able to know the basic terminologies in eyeglass prescriptions and stuff. I get to have my glasses and learn something. Isn't that just amazing? 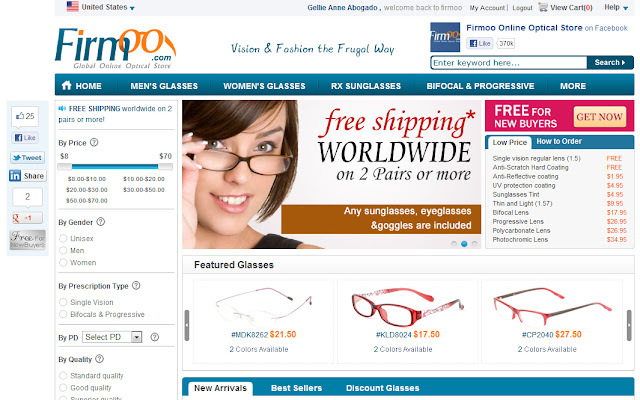 When I went to their website to choose my glasses, I immediately created an account and began browsing their page. A lot of you might be wondering how would you know if the glasses would look good on you. I had the same question. Good thing they have virtual try-on thingy where you can upload or take your picture and they will put the glasses on your face. And if you want to see the details of the glasses, you can use their magnify option to carefully examine the glasses. Their website is very user-friendly and you won't have a hard time using it. wow there is a "virtual" try of the glasses! I like! another 4-eyed sister here. Nice! Looks so cute :D Thanks for sharing! Nice eyeglasses. Pink pa sha. So cute on you dear! Gusto ko din. Haha! love it! 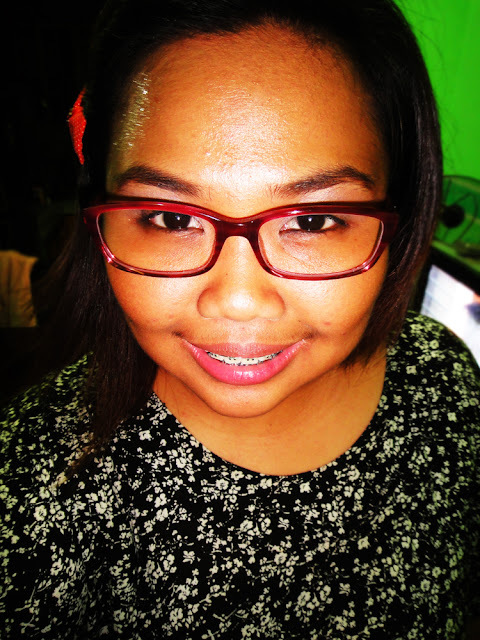 :) thanks Gel for always gracing my blog! and oh, i updated the photos on my beach trip post. :) tc!